Apple News is getting its first ever editor in chief. Lauren Kern will leave her role as executive editor of New York Magazine on June 2nd for the Cupertino-based company, New York Magazine Editor-in-Chief Adam Moss announced on Wednesday in a staff memo obtained by CNN. "I am not happy to report that we are losing our beloved Lauren Kern to the Apple corporation," Moss wrote. "I mean, I'm happy for Lauren certainly. It's an exciting opportunity to be the editor in chief of Apple News, to bring a journalistic vigor and intelligence to an operation that has always seemed to me so full of promise." The news was first reported on Thursday morning by Politico. An Apple spokesperson confirmed the news to CNN, but declined to offer further details on what Kern's role will entail and whether the job will based in the company's California headquarters. 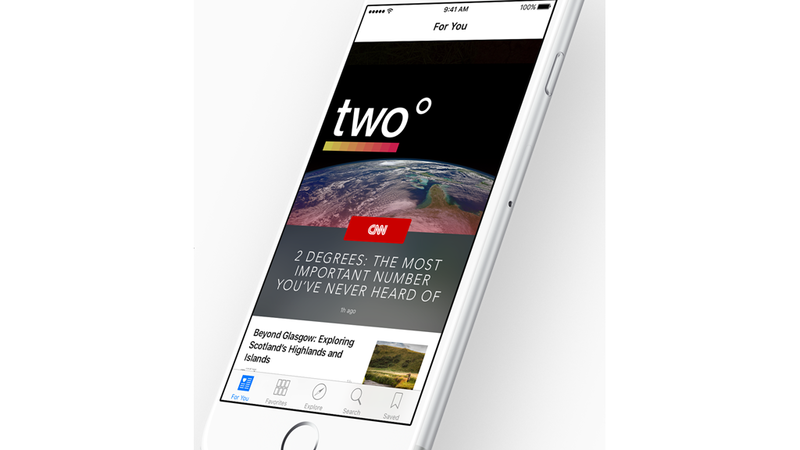 Apple News is a mobile news aggregation app which launched in the summer of 2015. The app draws in stories from various news partners and personalizes the front page to fit the user's interests. Apple News' partners include CNN, The New York Times, BuzzFeed, and others. "Apple has the audience -- all they needed was a superior editorial intelligence to guide it," Moss wrote in his memo. "They recognized that that person was Lauren, and of course we know they are right." Moss praised Kern for the work she has done at New York Magazine, which he said "has been so critical" to its success. "She provided excellent council to me on all sorts of editorial matters, and she was just beginning a new adventure seeding ambitious feature projects across our verticals," he wrote. "There isn't much she can't do. Apple is lucky to have her."